Wonderful to have such good rains in late December just as the ground was becoming really hard and dry – while some may find the humidity taxing it is, to me, infinitely preferably to the crackly, tinder dry atmosphere that precedes so many horrific fires. There is also the bonus of hydrated skin which I am sure makes me look years younger than I appear in dry climates! 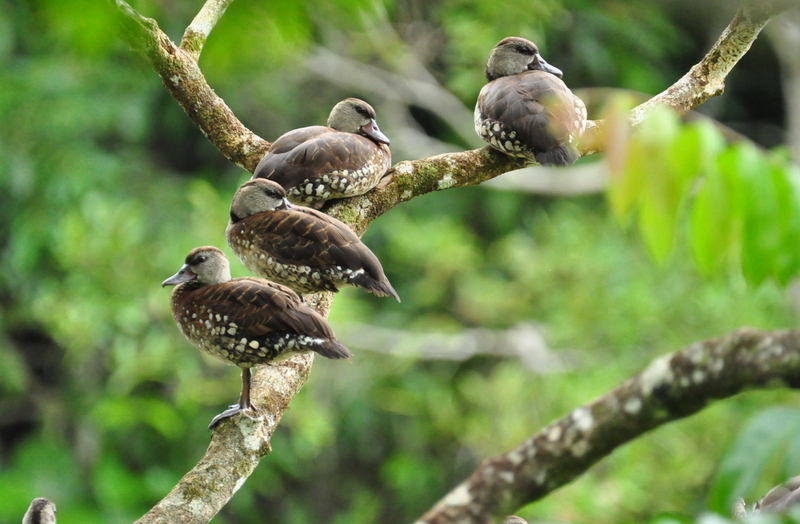 After a couple of weeks away enjoying festivities with children and grandchildren we were delighted to return and find Spotted Whistling ducks were temporarily resident on our wetland. Since 2012 these ducks have made an appearance at Wild Wings & Swampy Things during the summer months – some years they have stayed for a few weeks but last year they were only sighted on one day. It is always a good feeling to see birds return and especially when they are feeding and roosting here. 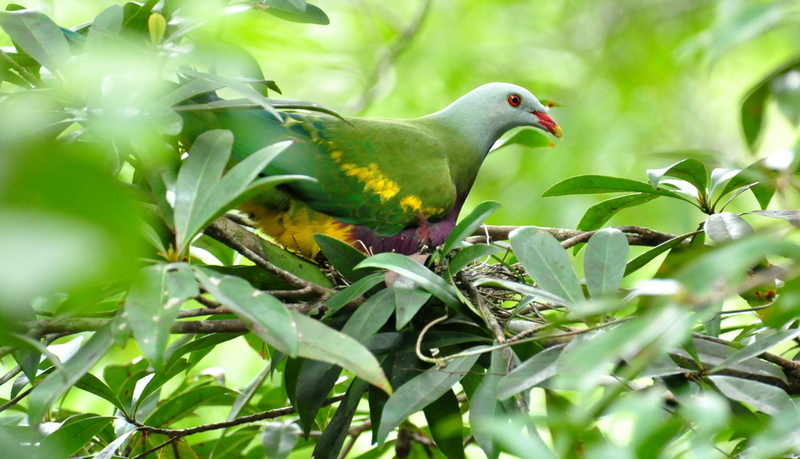 One of the other surprises was to find that the Wompoo fruit dove, nesting above our driveway, had steadfastly stayed on its nest through heavy rain and hatched its baby. 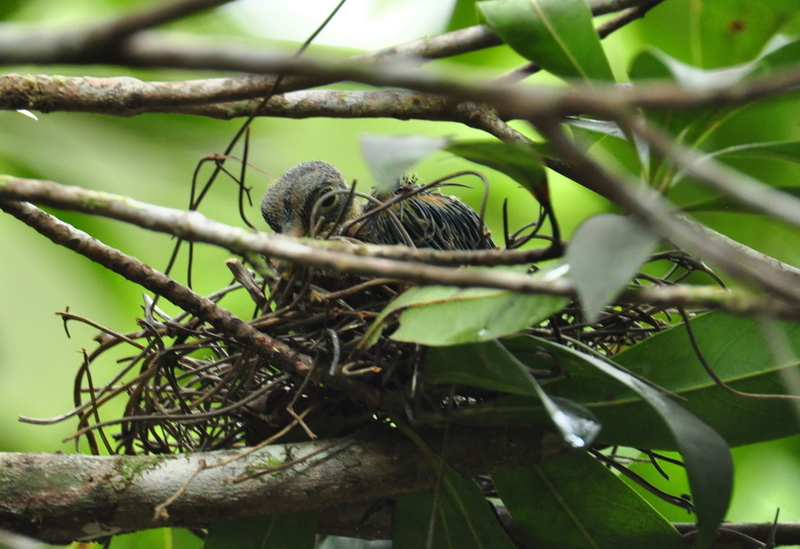 It has a long way to go yet, the parents will have to be on their guard to protect it from a pair of Black Butcherbirds. I forgot to mention that all the photos were taken by Allen.